Daytime On The Go is the new and exclusive makeup kit, ideal for perfecting your everyday makeup look! Featuring ICONIC, best-selling beauty with customizable shades, choose in the right hand drop-down for a TAILORED-TO-YOU makeup kit. 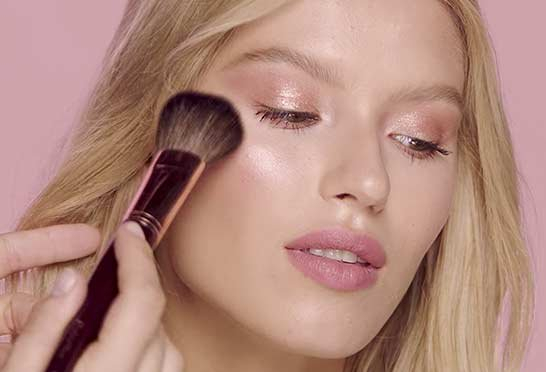 Airbrush Flawless Finish: the ultra-finely milled skin-perfecting finishing powder with essential oils will help prevent excess shine while brightening your complexion. Mini Powder Brush: a travel-sized powder brush for flawless application, ideal for popping into your makeup bag for quick touch-ups. Magic Away Concealer: the incredible full-coverage liquid concealer will help reduce the appearance of under-eye circles, blemishes and imperfections instantly! Matte Revolution Lipstick: the award-winning matte finish formula, choose from 5 mesmerizing shades for lit-from-within, fuller-looking lips. On The Go Makeup Bag: this new and exclusive makeup bag in the classic night crimson shade is perfect for storing all your essentials for daytime beauty. 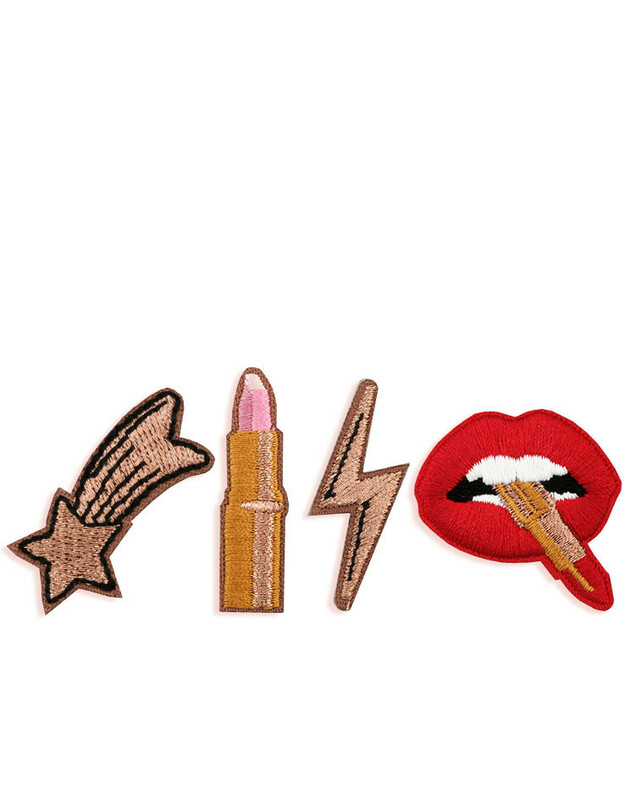 You can also choose 2 of 4 fabulous embroidered patches to stick to your makeup bag wherever you want them for a truly customized collection! Please note, this kit does not come pre-boxed. Add my signature gift box at check out or select Fast and Fabulous delivery option to receive all your items beautifully packed in a gift box. Individual components may not be returned separately. 1. Once you have blended in your foundation, apply Magic Away Concealer to blemishes, redness and areas that need more coverage. 2. For brighter-looking eyes, use a lighter shade to apply to under-eye circles, and tap with your ring finger to blend. 3. To apply the Airbrush Flawless Finish powder, use your Mini Powder Brush, applying around your nose, t-zone and any other oily areas. 4. Apply Matte Revolution straight from the bullet for a gorgeous, fuller-looking pout. For an ultra-precise application, use the Lip Brush to apply the lipstick. This product is vegan friendly. It is also free from paraben, alcohol, nuts, gluten and mica. Aqua/Water/Eau, Hydrogenated Polyisobutene, Hydrogenated Didecene, Glycerin, Trimethylsiloxysilicate, Cetyl Peg/Ppg-10/1 Dimethicone, Palmitoyl Glycine, Albizia Julibrissin Bark Extract, Methicone, Sodium Chloride, Polymethylsilsesquioxane, Hydroxyacetophenone, Lauryl Peg-8 Dimethicone, Disteardimonium Hectorite, Hydrogenated Styrene/Isoprene Copolymer, Hdi/Trimethylol Hexyllactone Crosspolymer, Propanediol, 1,2-Hexanediol, Caprylyl Glycol, Tocopheryl Acetate, Trisodium Ethylenediamine Disuccinate, Tephrosia Purpurea Seed Extract, Lauroyl Lysine, Talc, Darutoside, [May Contain/Peut Contenir (+/-): Iron Oxides (Ci 77491, Ci 77492, Ci 77499), Titanium Dioxide (Ci 77891)]. This product is vegan friendly, gluten-free, sulfate-free, and not tested on animals. 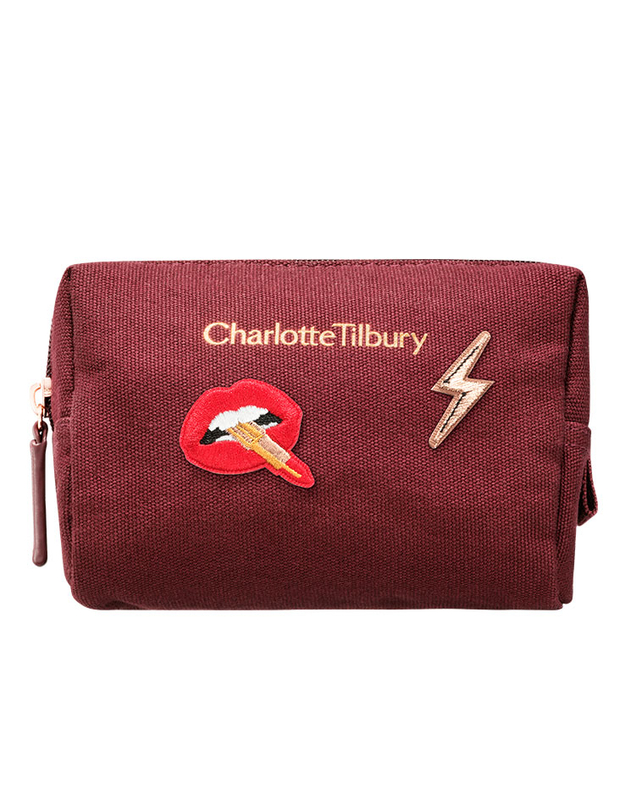 Charlotte Tilbury Daytime On The Go Makeup Kits is rated 4.6 out of 5 by 24. Rated 3 out of 5 by Victoria from Disappointing I bought this as a treat to myself for Christmas. The make up bag is so small! It's very cheap looking too and the patches are sent separately that you just stick to the bag?! I won't be using the bag. The powder brush is also very small. 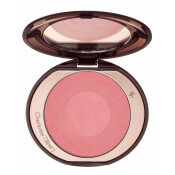 I will probably use it for blusher or even just as a spare in my work bag. The products are wonderful though and that's the main reason I ordered it but if it's for a gift just be aware that the bag isn't really anything that special in my opinion. Rated 5 out of 5 by Beauty guru from Wonderful on the go kit I love this little set. It has almost everything for on the go. Just pop it in your bag. It is easy to put the stickers on the bag, I don’t understand why people are complaining about that. Love the concealer, powder and lipstick. Just put in liner, and mascara and you have a perfect small touch up bag. Rated 5 out of 5 by Maggie 2000 from An extremely useful set of make-up items I bought this about a fortnight ago and I have found it so useful that I have used it every day. I am particularly pleased with the powder:I have Charlotte's loose powder but this one is so practical to carry in my bag, especially with the accompanying brush. And I was delighted with the lipstick 'Bond Girl': it was next on my list to buy and I love it! The concealer is superb - nothing else to say! And to top it up, a lovely make-up bag in which to keep everything. A truly impressive make-up collection. Thank you, Charlotte! 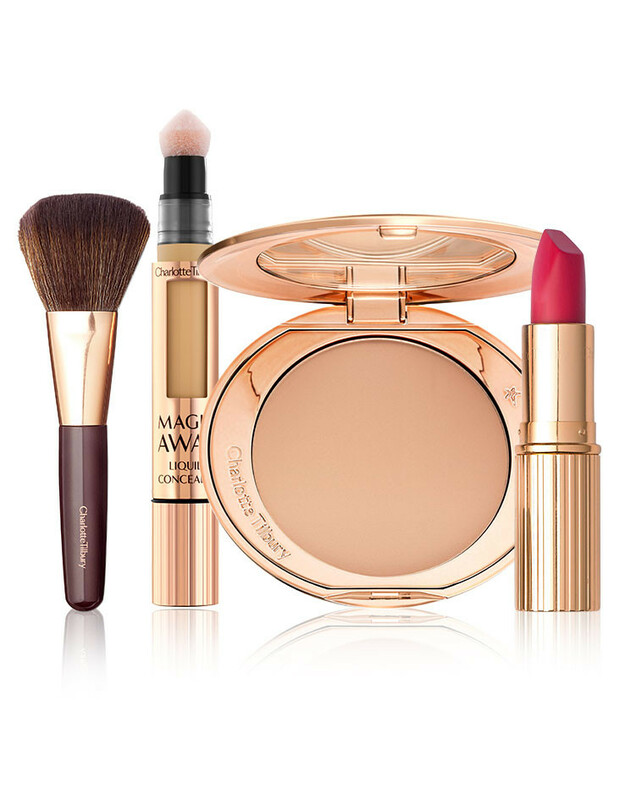 Rated 5 out of 5 by Alison from Great set Gorgeous set with three essentials, being able to choose lipstick shades and powder and concealer shade is great and means the products are perfectly matched to you. I chose the Bond girl lipstick shade and I love it as an alternative to pillow talk for daytime, it’s close to natural shade of my lips but just a little deeper. The makeup bag and patches are a lovely touch too. Rated 5 out of 5 by Siobhan L from Fabulous way to try new products I received this set as a Christmas gift and was absolutely thrilled with it. It is a fantastic way to try new products. 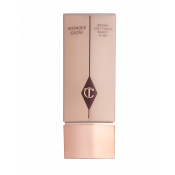 I have not tried the concealer before and it is terrific. I also love the lipcolour Pillow Talk and it is a shade that I would not normally use. The bag is cute and the little brush will be great when I am out. Better than throwing some of my makeup into a clutch bag!